Rehydrate by the light of the moon. 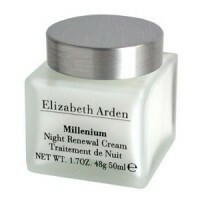 Apply this rich cream before bedtime and replace the moisture you lost during the day. This formula smoothes the look of fine lines, leaving you with revitalised, radiant skin. Water, isopropyl myristate, squalane, dimethicone, cyclopentasiloxane, mineral oil (paraffinum liquidum), polyglyceryl-3 diisostearate, sorbitol, polyethylene, triundecanoin, propylene glycol, beeswax (cera alba), urea, allantoin, panthenol, lanolin alcohol, quaternium-18 hectorite, cyclohexasiloxane, fragrance (parfum), alpha-isomethyl ionone, benzyl salicylated, butylphenyl, methylpropional, citronellol, eugenol, hydroxycitronellal, limonene, linalool, butylparaben, diazolidinyl urea, ethylparaben, methylparaben, propylparaben, phenoxyethanol.